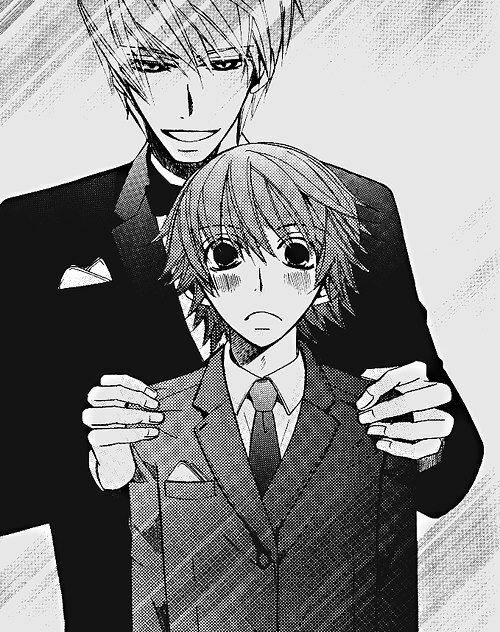 Junjou Romantica is a manga series from 2002 with anime adaptation from 2008. The main character is innocent Misaki Takahashi – an eighteen-year-old who, as a result of certain events, lives together with ten years older Akihiko Usami – the author of… boys love novels. There are also two side stories – Hiroki Kamijou (university professor, uke) and Nowaki Kusama (doctor, seme), the two who once met in their childhood, and later Kusama “hunted” Kamijo to teach him. The second side story is the story of Yō Miyagi and Shinobu Takatsuki – it is different from the other pairings in Junjo and Sekaiichi, because of the age difference – it is 17 years here – what does not change the fact, that it’s still an absolutely charming, romantic story about students love to his professor. 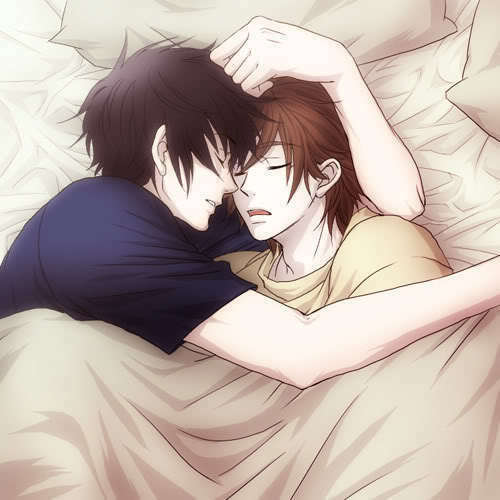 The most similar to Junjou Romantica is Sekaiichi Hatsukoi – both created by the same mangaka, Shungiku Nakamura.